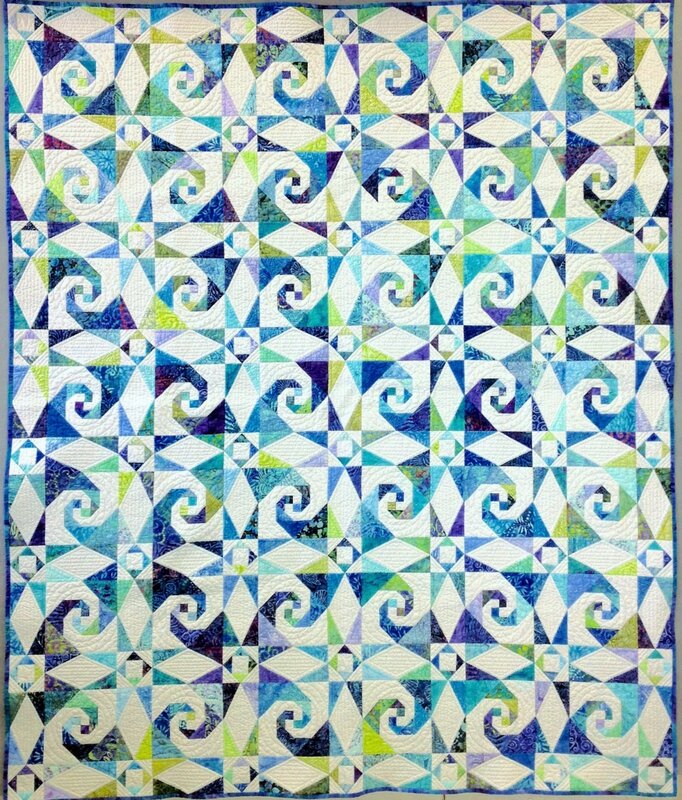 Create this stunning quilt that graced the cover of Quilt Sampler magazine, Fall 2014. Paper pieced, and 4 sizes to choose from. Our sample used 50 different Batiks in purples, greens, aquas and blues.